2-AG limits Theiler’s virus induced acute neuroinflammation by modulating microglia and promoting MDSCs. “Objective: Examine the effectiveness of THC marijuana versus non-THC marijuana on handwriting in Essential Tremor. Background: Essential tremor (ET) is a chronic movement disorder which can be quite debilitating. ET is often progressive, beginning as a mild visible tremor with little or no impact on activities of daily living (ADLs) but tends to increase in severity over the course of years, often to the extent that people with ET may have extreme difficulty with task such as writing, drinking, eating, shaving, or putting on make-up. Unfortunately, a certain portion of people with ET are either intolerant or unresponsive to the currently recommended treatments. Patients occasionally report improvement in ET after marijuana use. While reports exist of THC effect on tremor in patients with Multiple Sclerosis (MS) and Parkinson’s disease (PD), the same is not true for ET. Results: Patient JB, a retired psychologist, had long-standing severe familial tremor significantly interfering with ADLs. Standard treatments were tried. Primidone was partially effective, but resulted in erectile dysfunction and anorgasmia. Propranolol was mildly effective, but was switched to metoprolol by his cardiologist. Gabapentin was ineffective and caused GI distress. Topiramate was ineffective. Diazepam and alcohol were effective but used only occasionally due to sedating effects. While on a family vacation in a state with legalized marijuana, JB recorded his handwriting at baseline, after using an oral non-THC marijuana derivative, after using standard marijuana (oral), and after using alcohol. Handwriting was moderately improved after taking the THC preparation, as well as after taking alcohol; the improvement was roughly equivalent with these two treatments. It did not improve with the non-THC preparation. 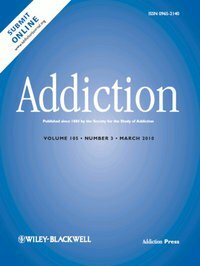 Medical marijuana laws and adolescent marijuana use in the United States: A systematic review and meta-analysis. “To conduct a systematic review and meta-analysis of studies in order to estimate the effect of US medical marijuana laws (MMLs) on past-month marijuana use prevalence among adolescents. “Endocannabinoid pharmacology is now relatively well understood with a number of endocannabinoids and endogenous cannabinoid neurotransmitters identified and the pharmacokinetics relatively well ascertained. Further, the cannabinoid receptors are now molecularly and pharmacologically characterised and the cell processes involved in endocannabinoid transcription, synthesis, post-translational modification and protein expression are reported. Endogenous cannabinoids have been shown to have key roles in immune and pain pathways and neuro-behavioural signalling including appetite regulation. Significant recent interest has thus been shown in understanding these pathways to guide the development of agents that inhibit the natural catabolism of endogenous cannabinoids to modify pain and appetite, and to synthesise antagonists for the treatment of disease such as obesity. This research is concurrent with the renewed clinical interest in exogenous cannabinoids and their use in disease. However, the complex pharmacology and physiological effects of exogenous cannabinoids, either as individual components or in combination, as extracts or via administration of the whole plant in humans, are less well known. Yet as with all other therapeutics, including those derived from plants, knowledge of the pharmacokinetics and dynamics of the complete plant, the individual chemical molecules and their synthetic versions, including formulations and excipients is a standard part of drug development. 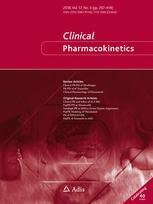 Cannabidiol Regulates Long Term Potentiation Following Status Epilepticus: Mediation by Calcium Stores and Serotonin. “Epilepsy is a devastating disease, with cognitive and emotional consequences that are not curable. In recent years, it became apparent that cannabinoids help patients to cope with epilepsy. We have studied the effects of cannabidiol (CBD) on the ability to produce long term potentiation (LTP) in stratum radiatum of CA1 region of the mouse hippocampus. Exposure to seizure-producing pilocarpine reduced the ability to generate LTP in the slice. Pre-exposure to CBD prevented this effect of pilocarpine. Furthermore, CBD caused a marked increase in ability to generate LTP, an effect that was blocked by calcium store antagonists as well as by a reduction in serotonin tone. Serotonin, possibly acting at a 5HT1A receptor, or fenfluramine (FFA), which causes release of serotonin from its native terminals, mimicked the effect of CBD.